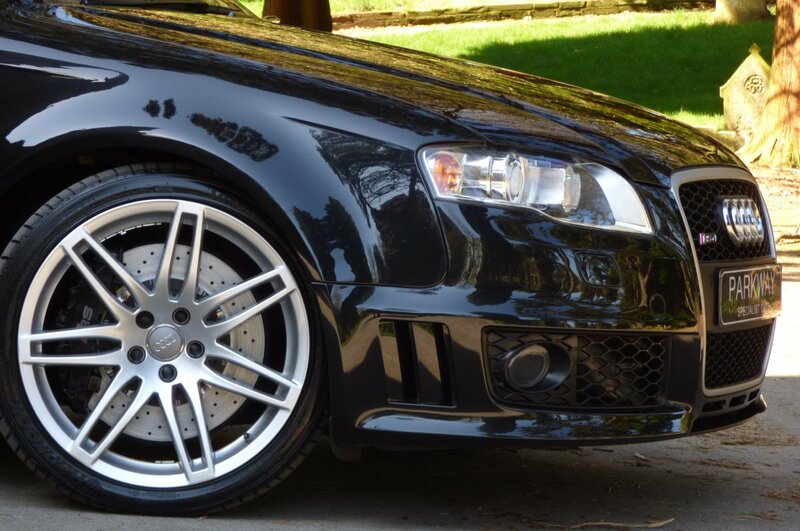 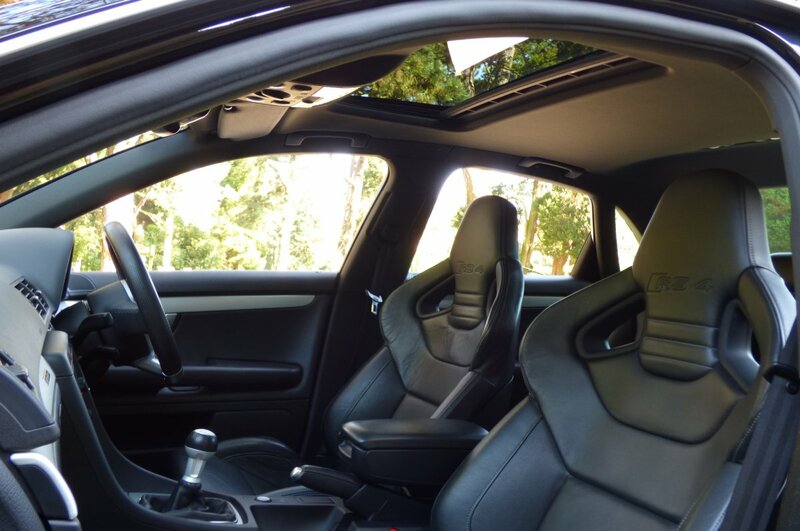 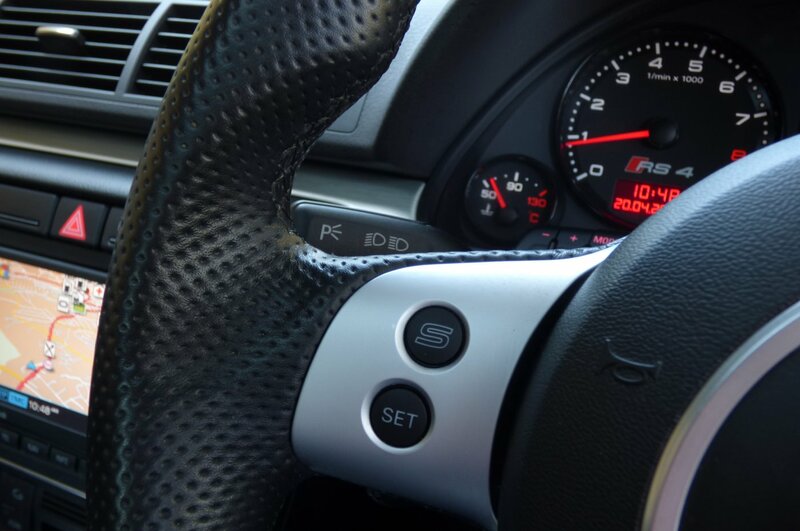 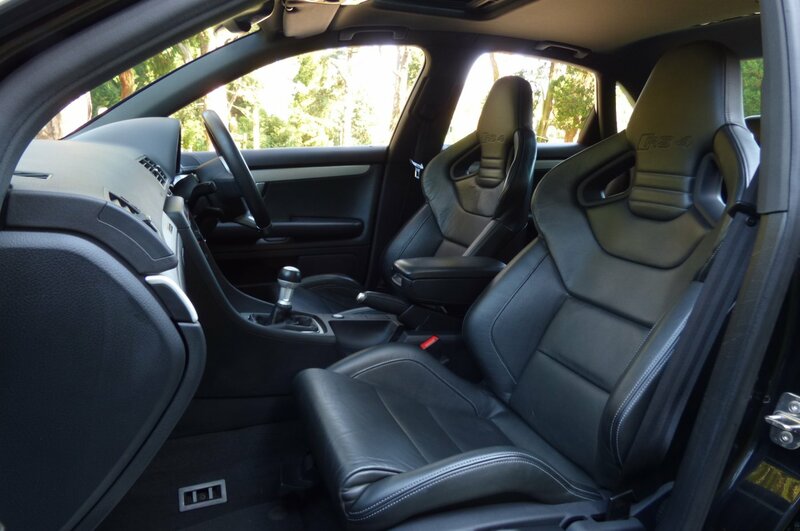 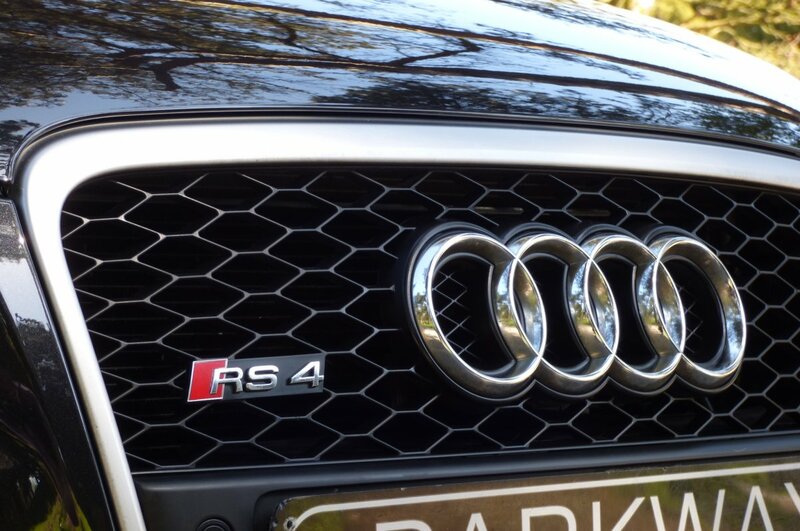 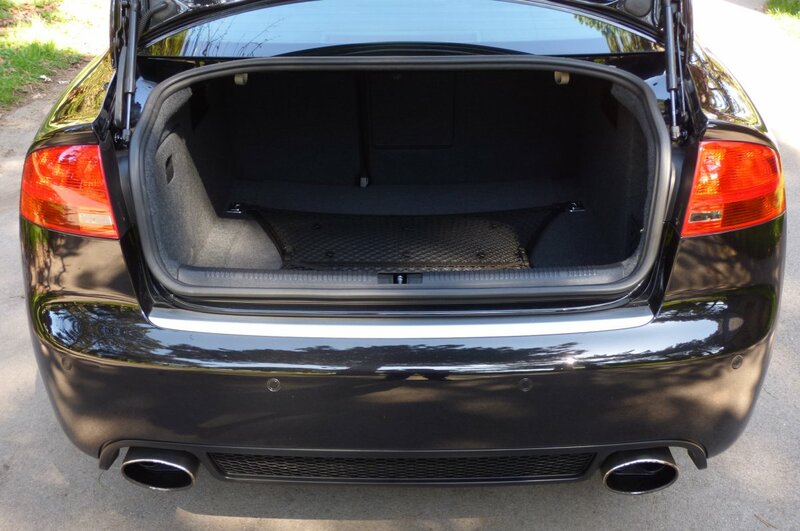 The Second Generation Audi RS4 Or The B7 Model Was First Unveiled To The World In The February Of 2005 At Audi's 'Quattro Night' Celebration, With The Setting To Be The Company Headquarters In Ingolstadt, Germany, With The First Official Debut At The 2006 North American International Auto Show In January. This All New Offering From The Neckarsulm Factory Was To Follow Similar Build Styling From Its Predecessor The Mighty B5 Version, With Widen Flared Arch Lines, Two Larger Frontal Side Air Intakes And A More Distinctive Alloy Wheels Design, Which Would Make The Car More Recognisable To The Purist Of Petrol Heads, With The RS Or Renn Sport Badges, To Finish The Aggressive Stance. 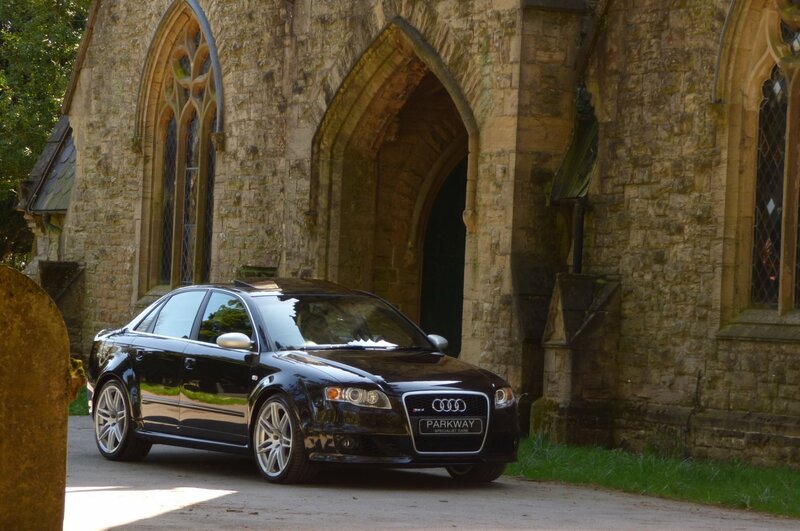 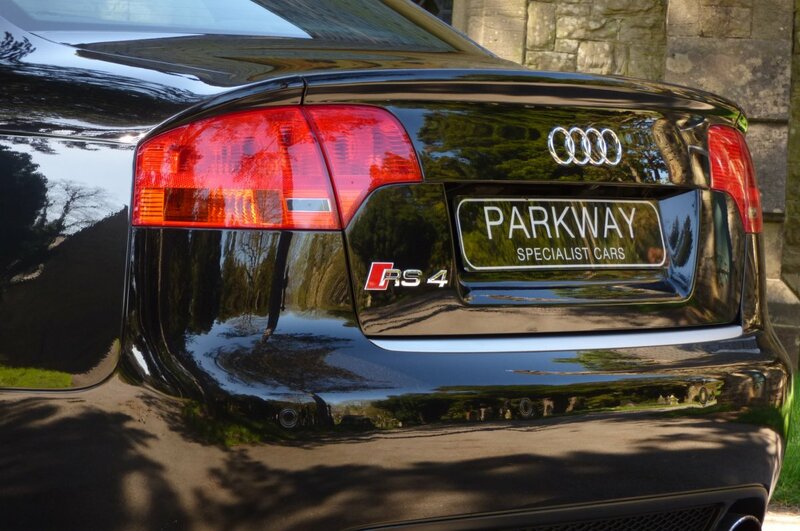 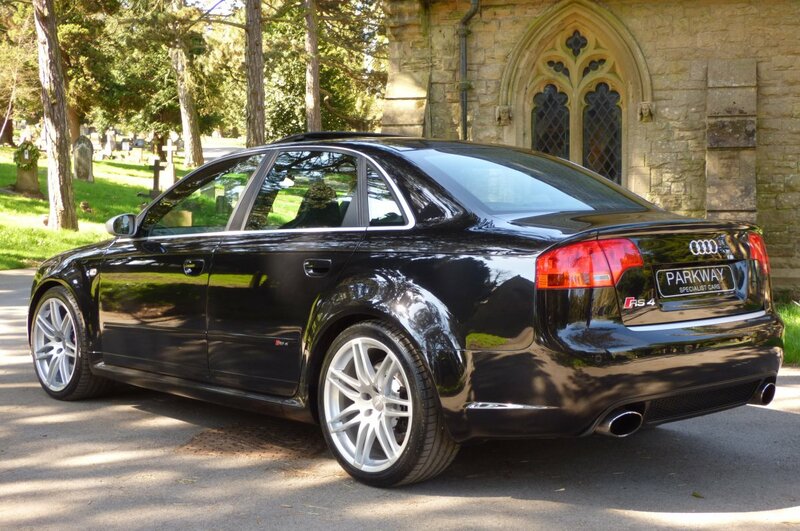 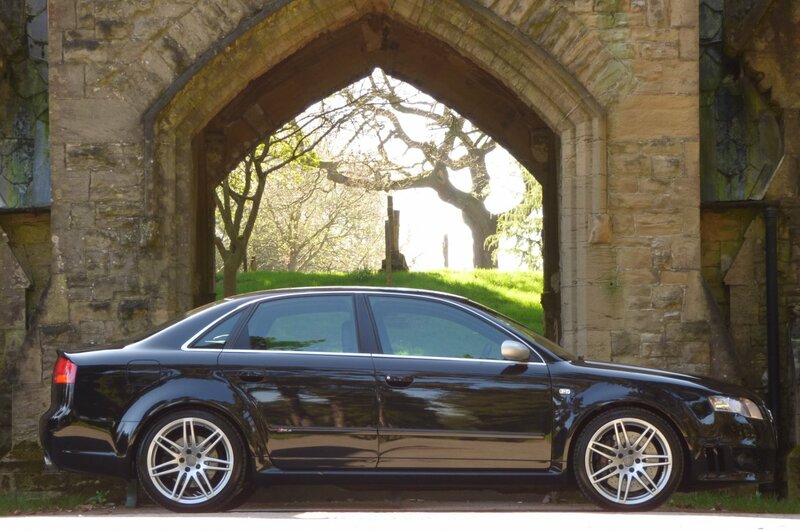 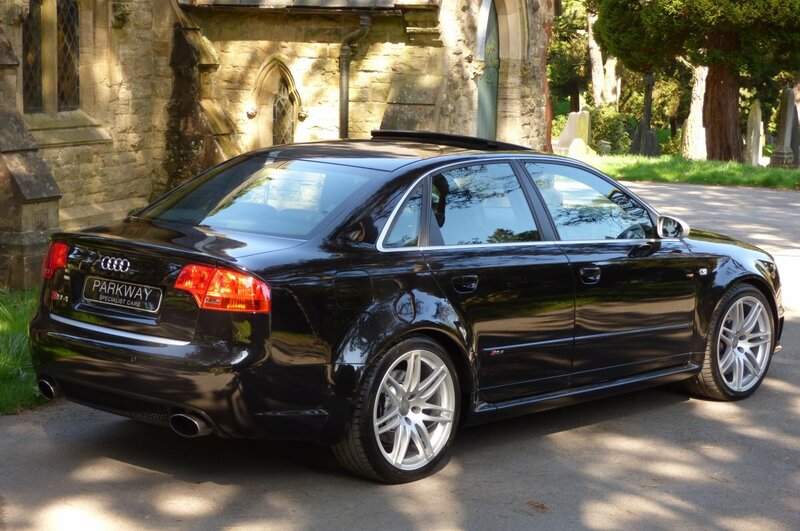 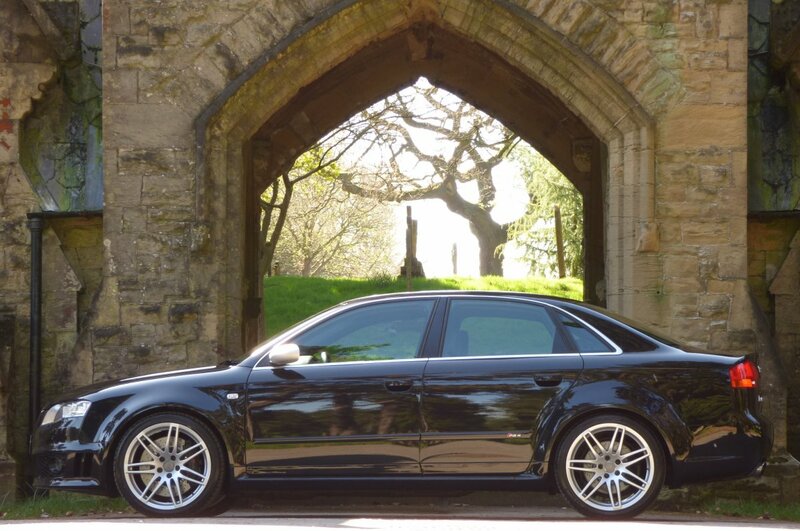 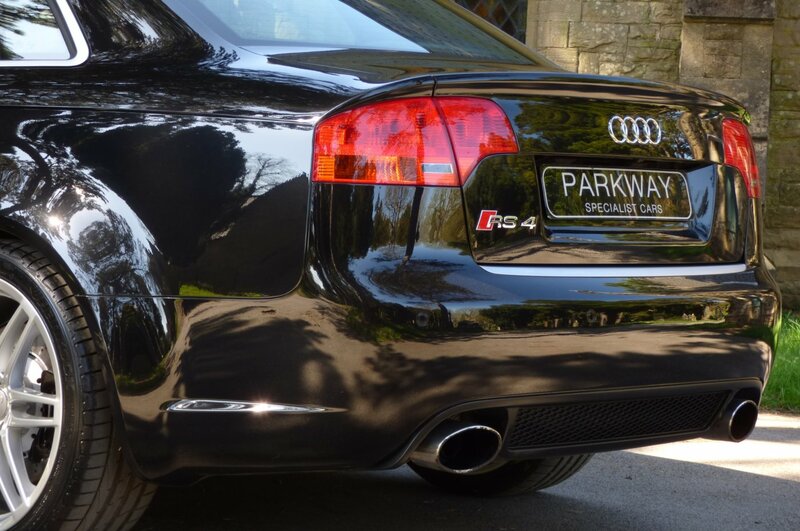 There Was A Long Wait Of Nearly Five Years Before Audi Gave Us The RS4 B7 Model After The End Of The B5 Version Ended In Late 2001, But This Excruciating Wait Was Definitely Worth Its Weight In Gold For Those People Lucky Enough To Acquire One Of The First Cars Off The Production Line, As The Monstrous Four Point Two Litre V8, Would Easily Generate A More Than Healthy 420 Break Horse Power With 317 ft lb Of Torque, Which Would Mean Acceleration Would Go From 0-62 MPH In Just 4.8 Seconds, Would Further Climb To An Electrically Limited Top Speed Of 155 MPH, With All This Power Perfectly Controlled By Audi`s Signature Quattro Four Wheel Drive System. 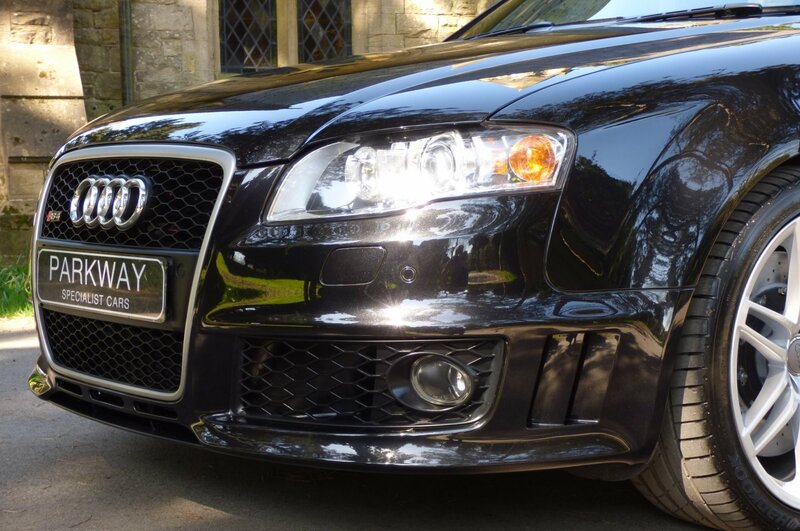 With The Collaboration Of This Extreme Power Output, The Dramatic Styling, Renowned German Build Quality And New More Relevant Technology, The Audi RS4 B7 Was To Become An Instant Hit With Buyers From Around The World, Along With Being Adored By The Critical Motoring Press And With This Won Many Recognisable Awards To Include Winner Of The 2007 "World Performance Car" And Winner Of The Top Gears 2005 "Most Surprising Car of the Year". 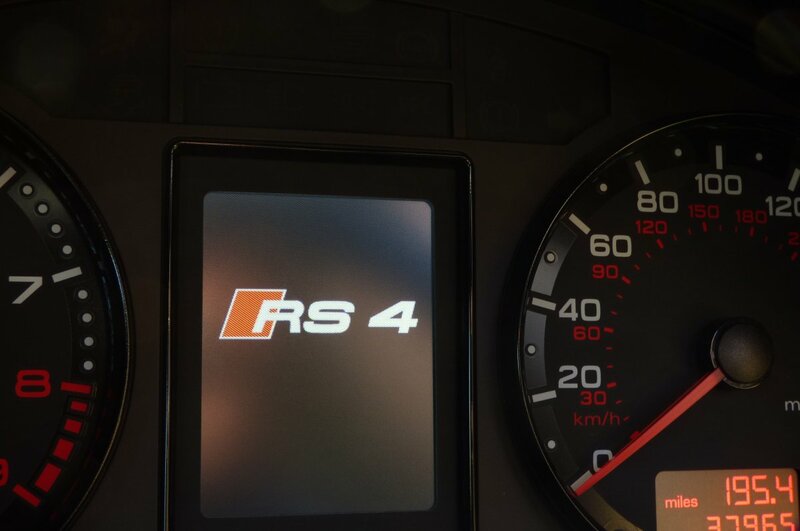 If We Fast Forward To 2018, RS Is Still Viewed As Being One Of The Best Usable High Powered Vehicles Of Recent Times And Now For The Best Left To Acquire, A Perfect Low Mileage, Well Maintained Example Is Seen As The Perfect Modern Day Classic, With Future Values Only Ever To Further Strengthen In Time. 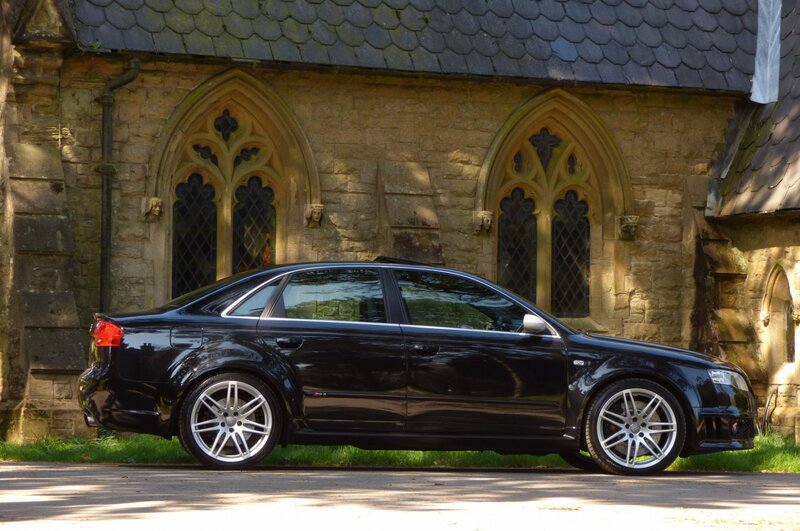 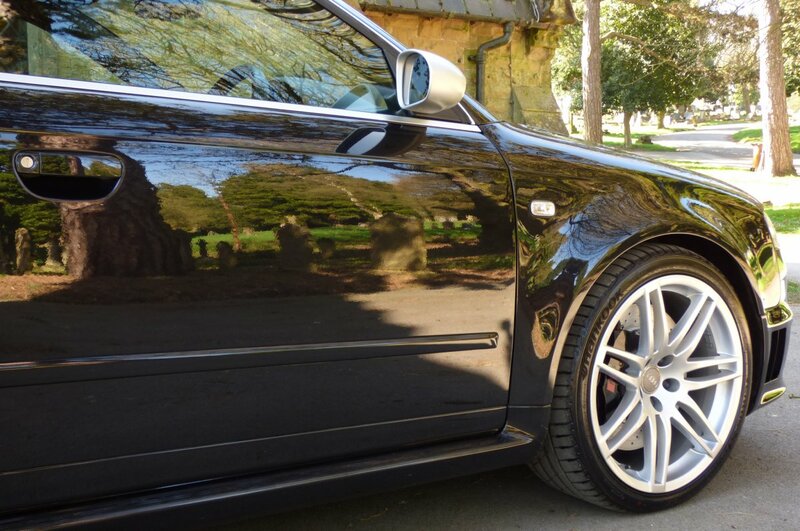 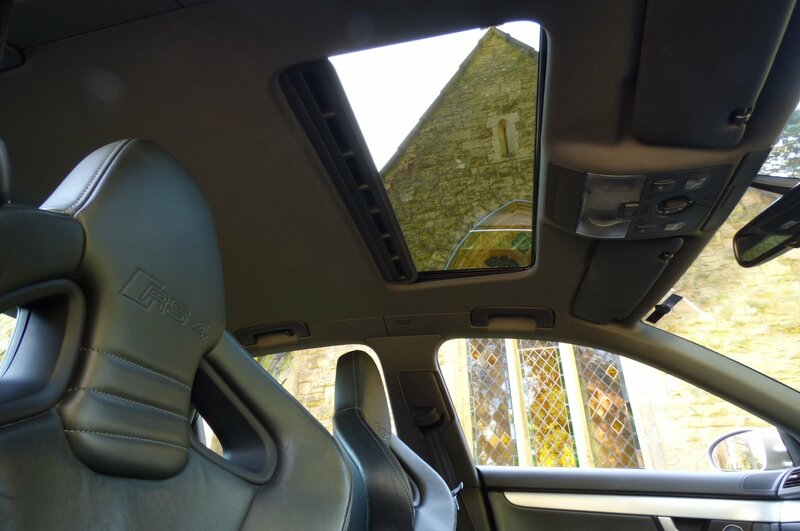 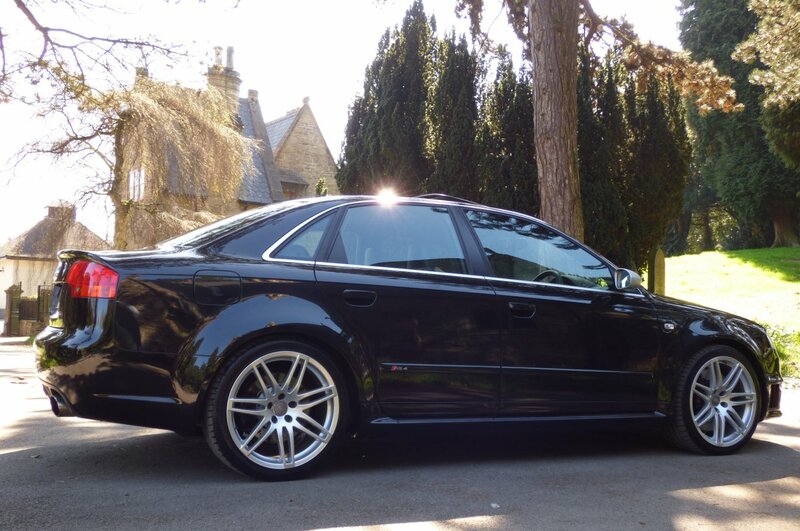 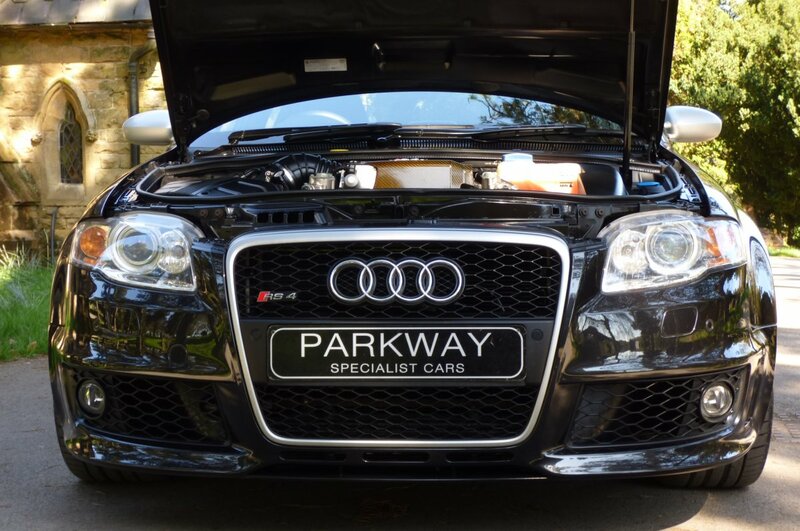 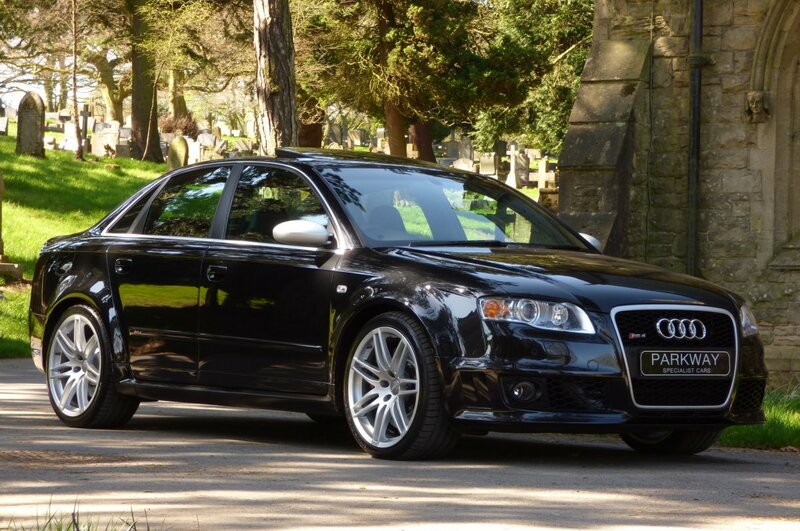 This Stunning Example Was First Supplied By West London Audi In The March Of 2006 And Since This Date Of Registration, This Now Rare Find Has Just Had The Two Keepers Attached, With The First Being West London Audi. 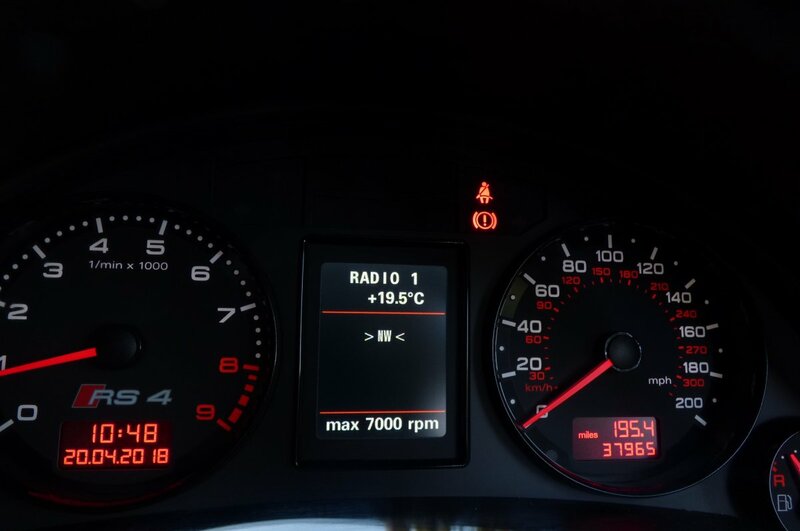 Over The Last Twelve Years Chassis Number N900675 Has Had Just 37965 Miles Applied And If We Break This Down Further Is Approximately Just 3100 Miles Per Annum, However Regardless Of This Incredible Current Mileage Reading Our Vehicle Has Been Maintained To The Highest Of Standards With Past Historical Service Visits Logged At 9826, 16910, 23169, 24647, 30265, 31229 And A Further Service Completed By Our Fully Trained & Knowledgeable Workshops At 37960 Miles In The April Of 2018, Which Also Included A New Front Disc Set.  Once Sold This Car Will Be Presented To The Next Lucky Keeper With The Entire Booklet Pack Set, A Fully Cleared Hpi Certificate, A Fully Functional Key Set To Include The Grey Plastic Master Key, A Full Factory Build Card Listing All Those Expensive Important Options From New And Many Past Service Invoices, Which All Increases The History Trace. 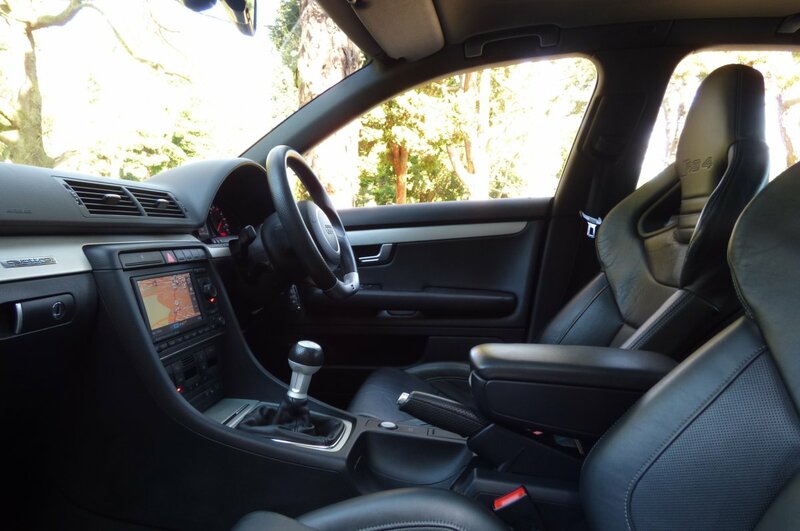 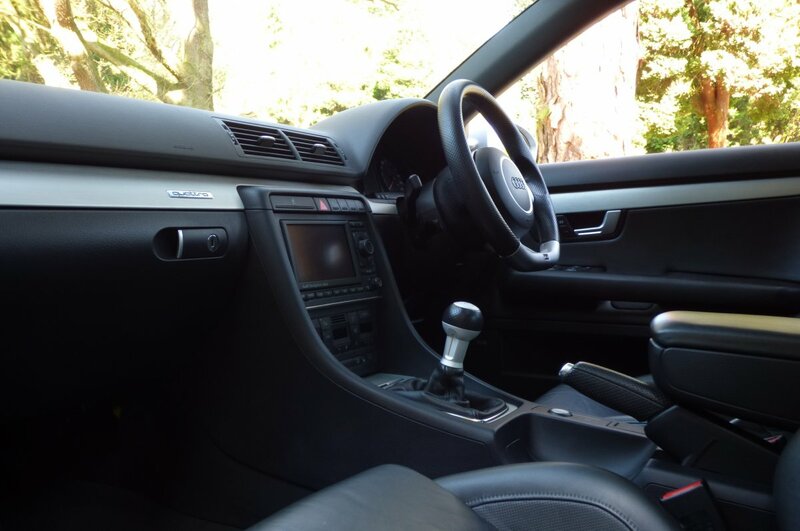 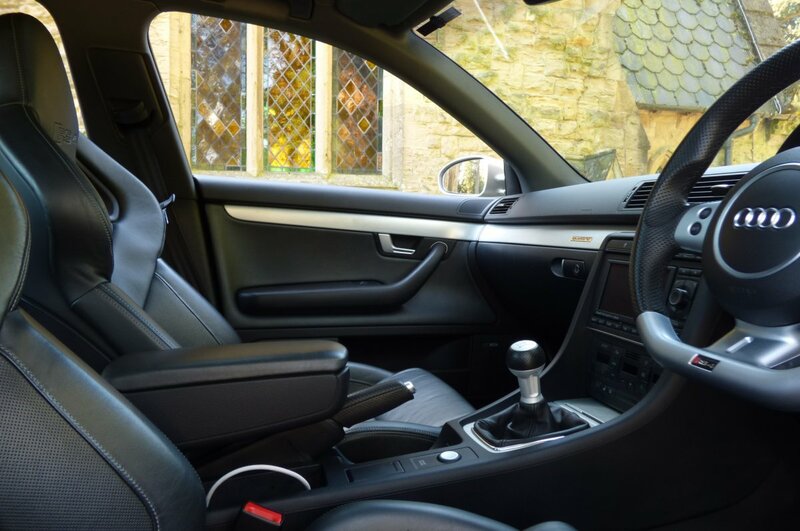 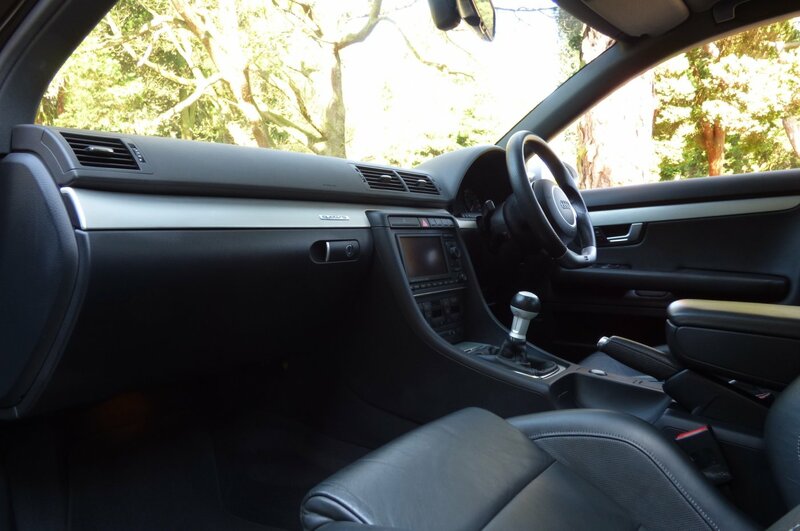 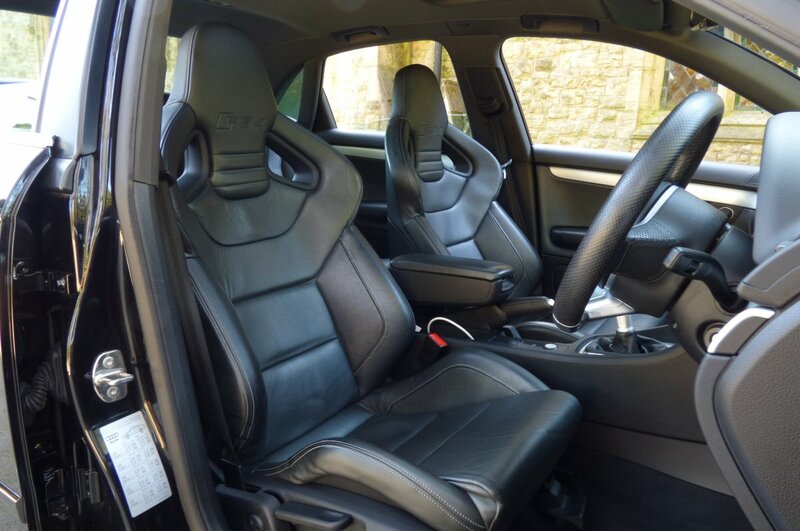 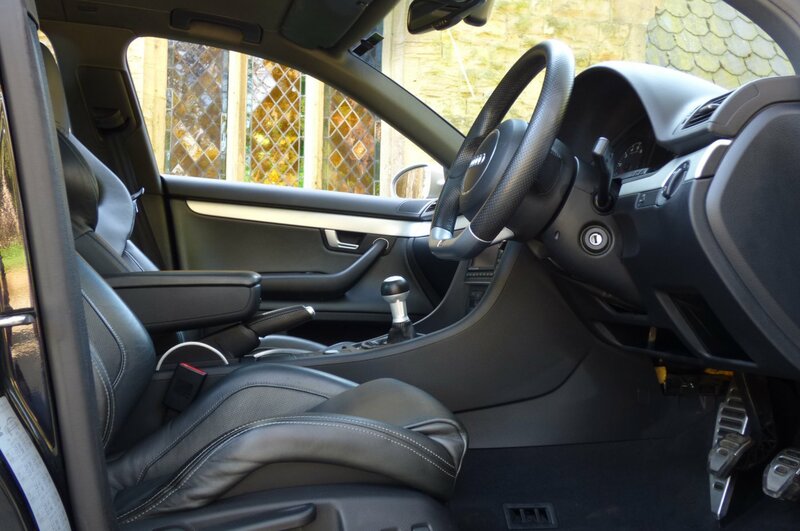 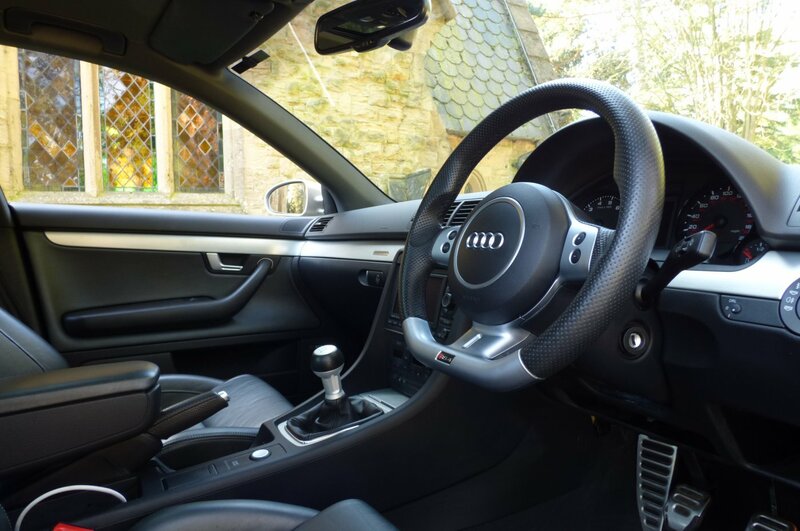 The Interior Of The RS4 Offers The Perfect Blend Of Exciting Detail, With The Total Cabin Space Being Overly Comfortable For Both Driver And Four Passengers, No Matter The Distance. 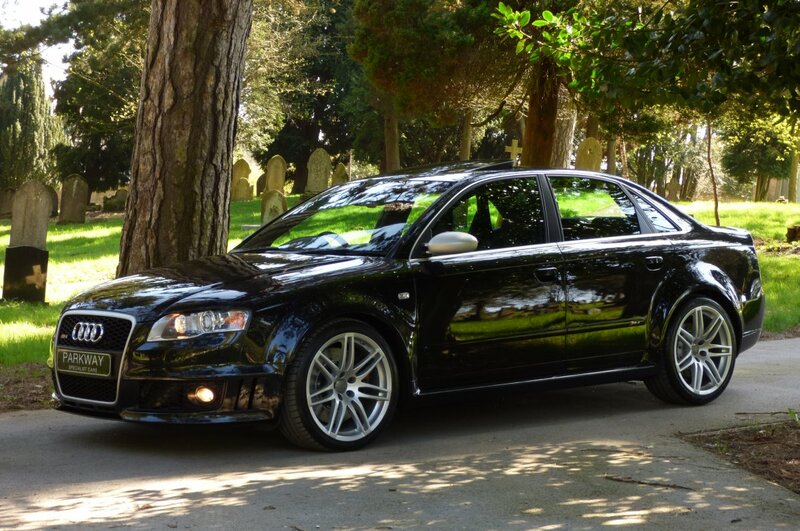 From Factory Build This Example Was Opted With The Recaro Embossed Black Valcona Leather Bucket Seating Beautifully Complemented With Contrast Silver Twin Needle Stitch Detail, The Black Carpets That Have Been Protected With Audi Over Mats, The Dark Grey Fabric Roof Lining, The Three Spoke Black Leather & Aluminium RS4 Embossed Flat Bottomed Steering Wheel, The Black Leather Trimmed Door Cards, The Black Dash That Wraps Around This Stunning Internal Space And Beautifully Finalised With Aluminium Interior Inlays, Embossed With The World Famous Quattro Motif. 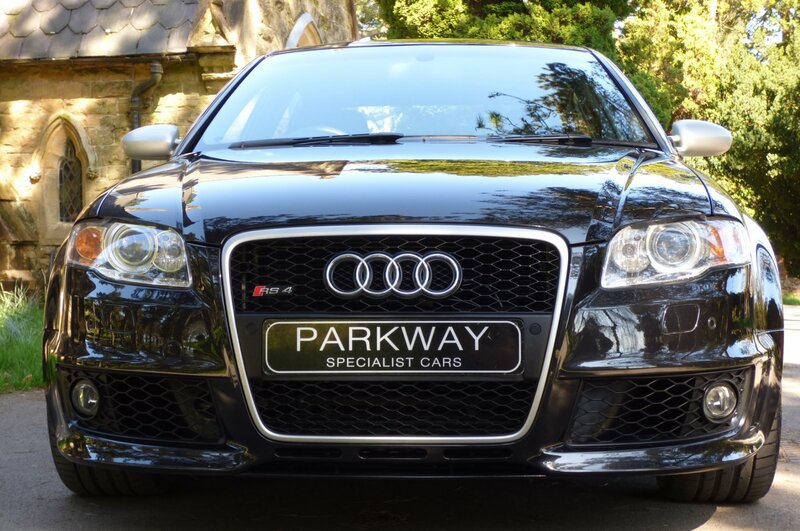 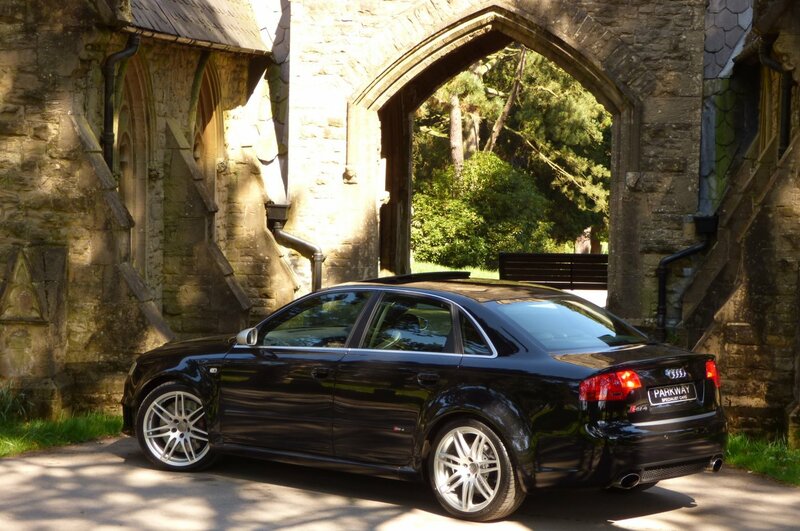 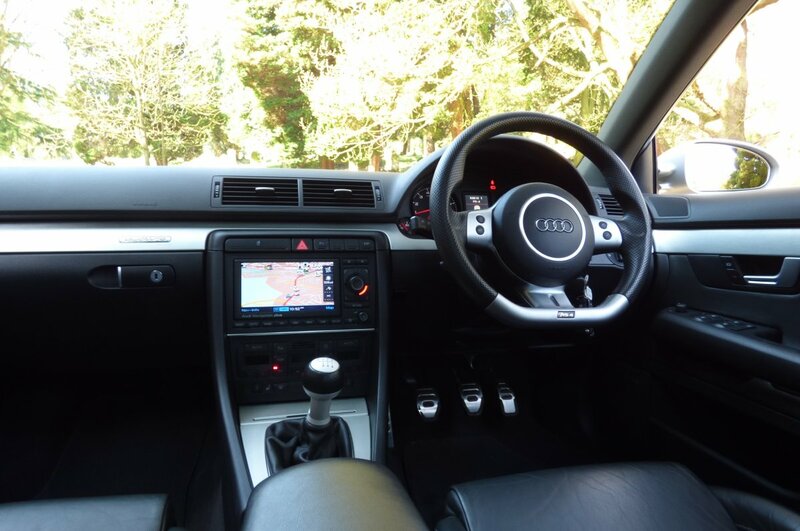 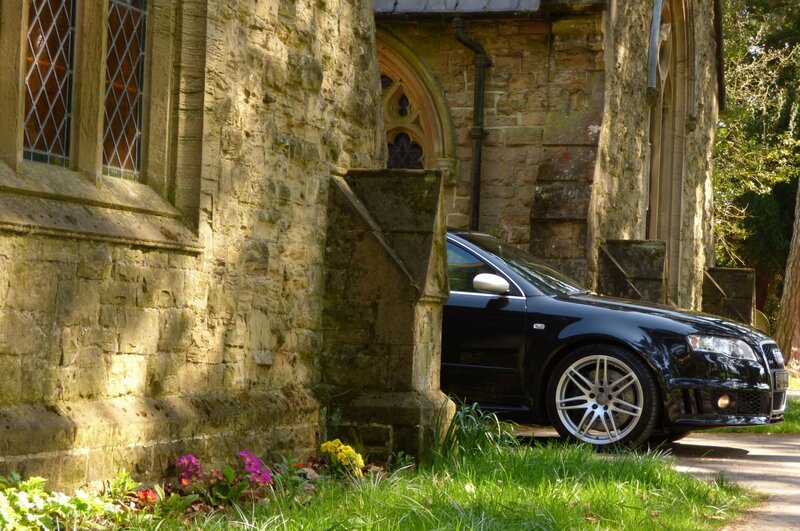 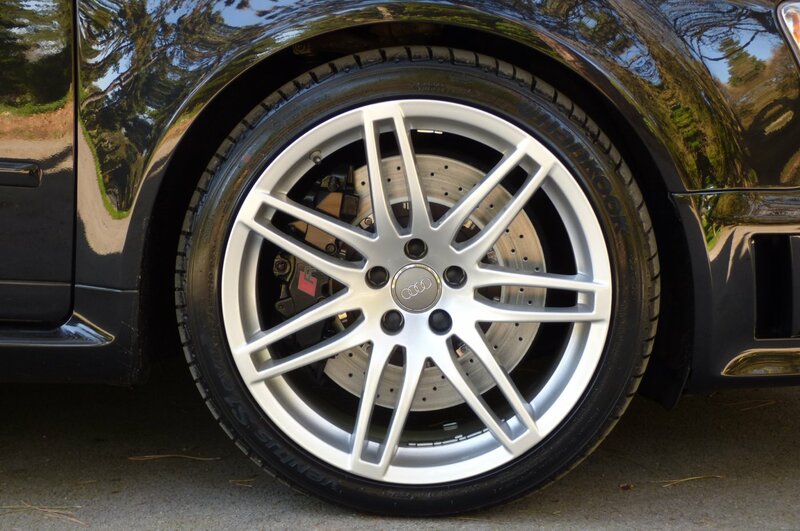 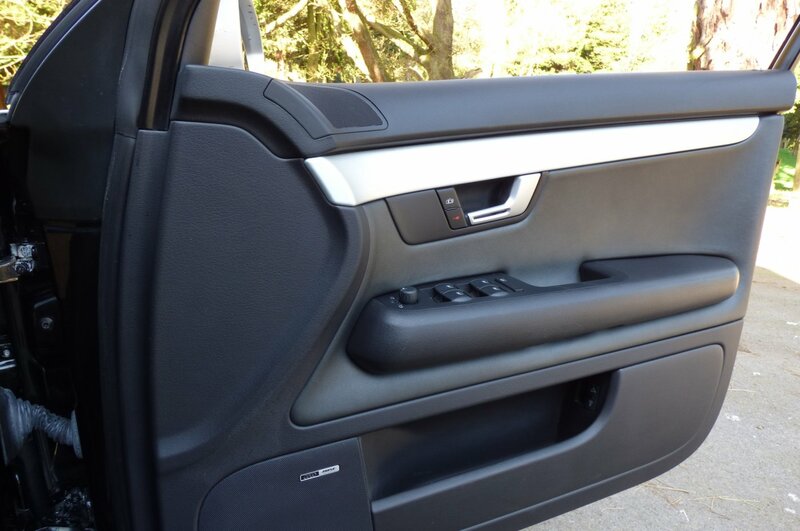 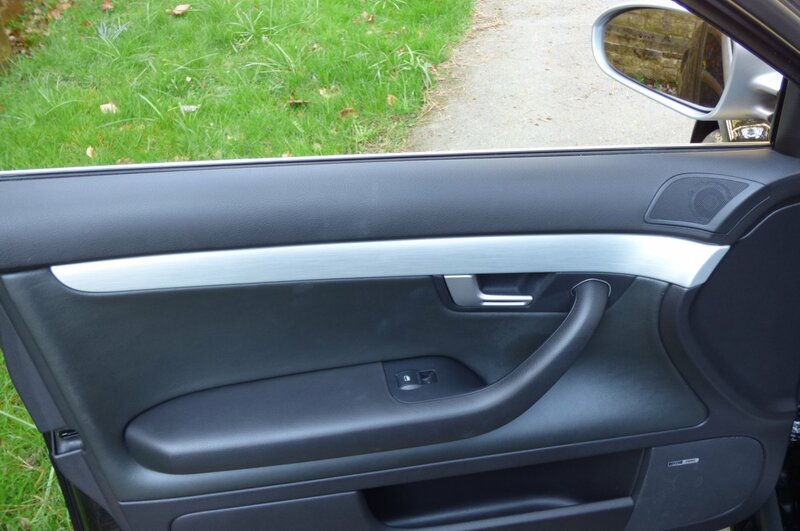 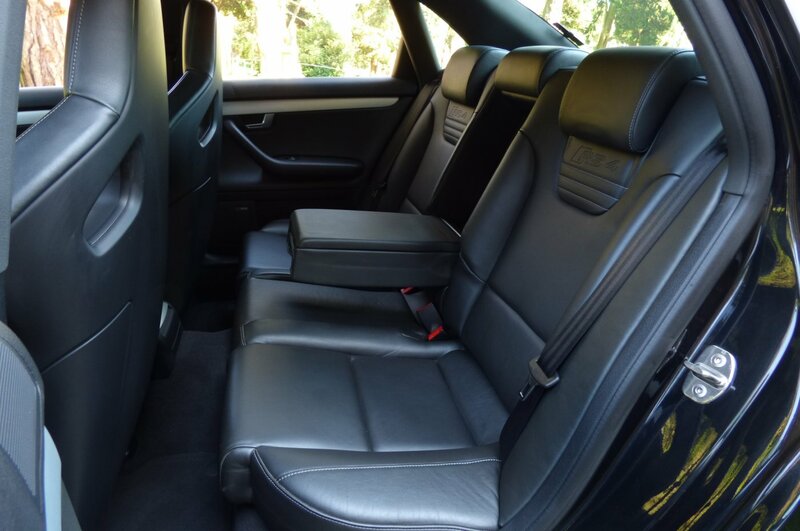 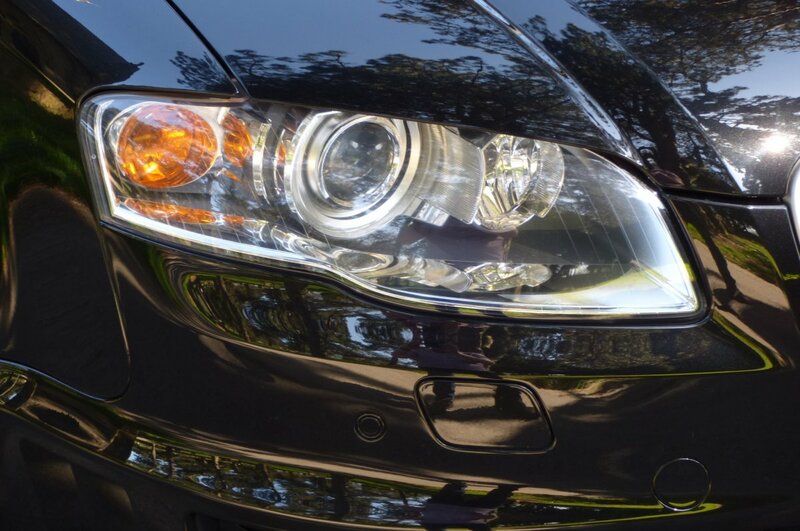 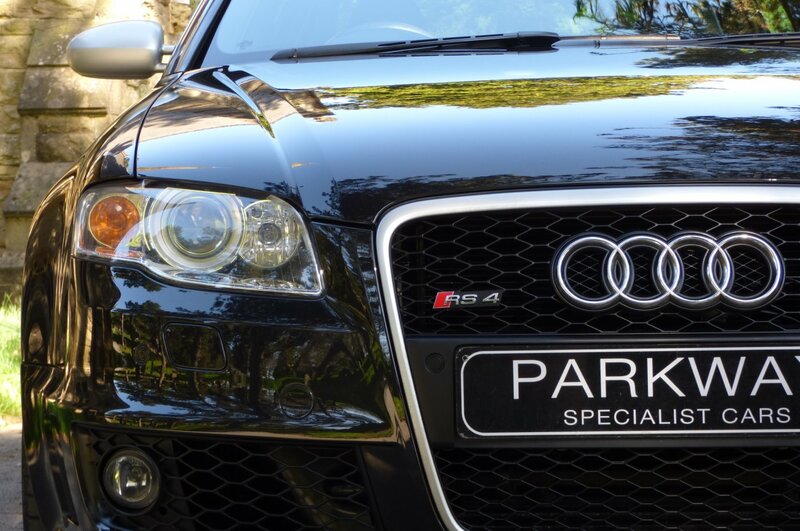 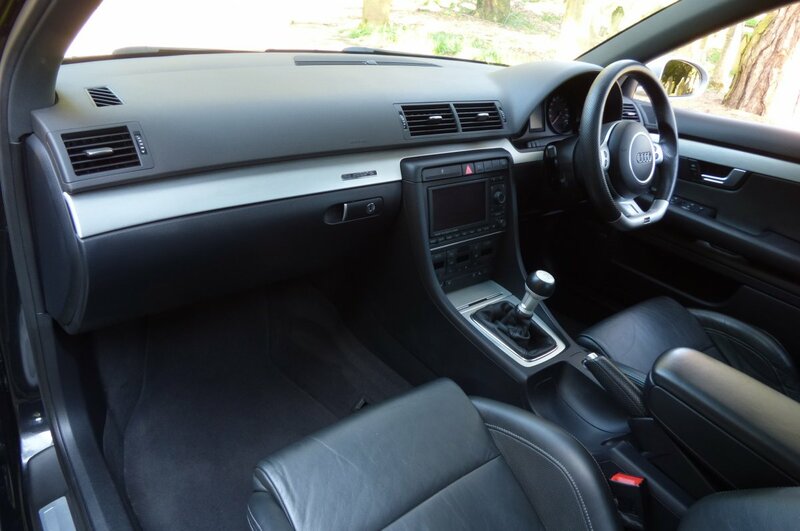 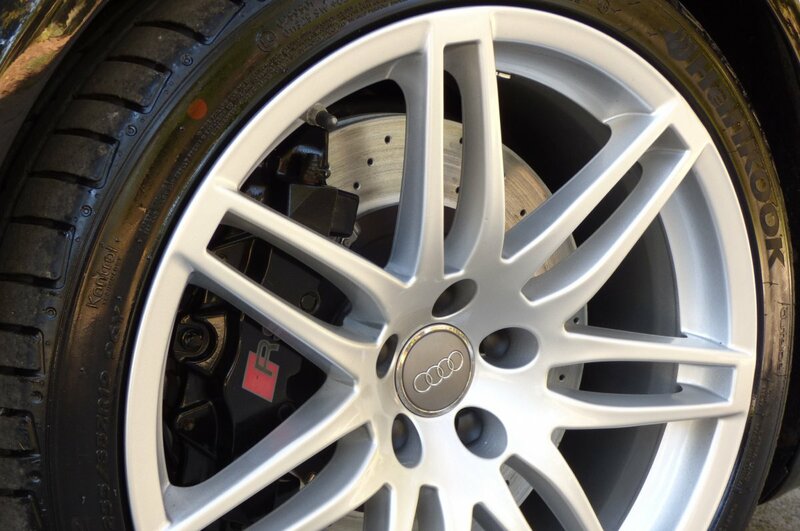 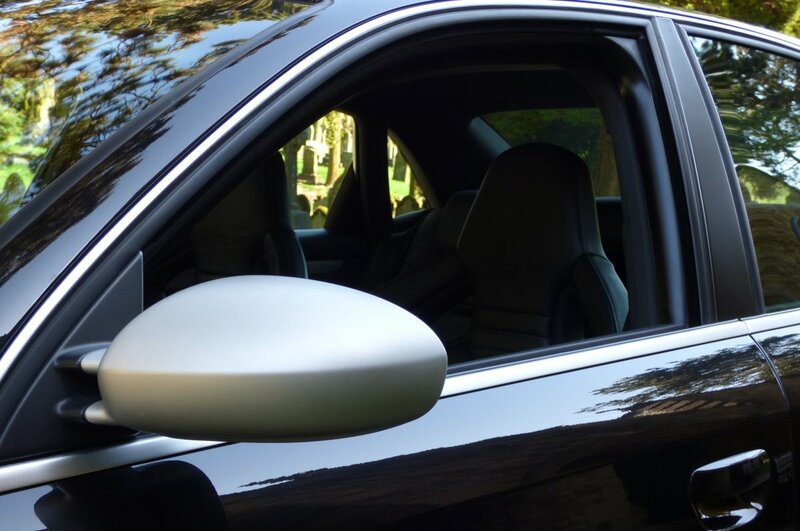 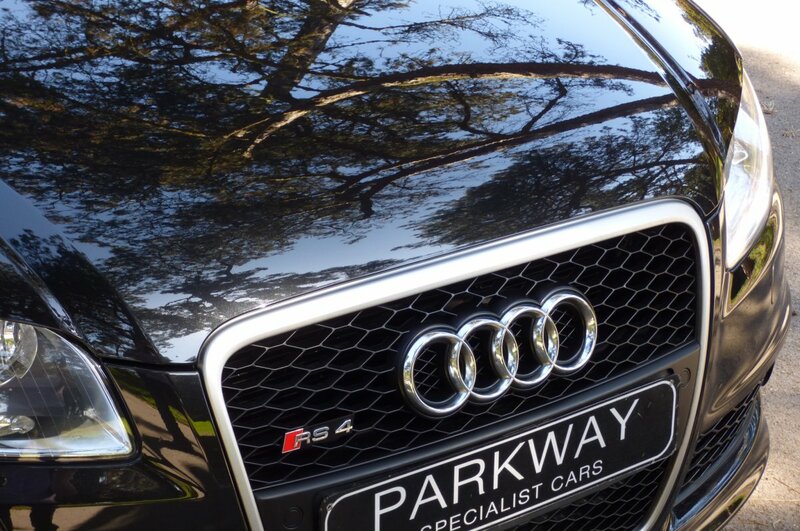 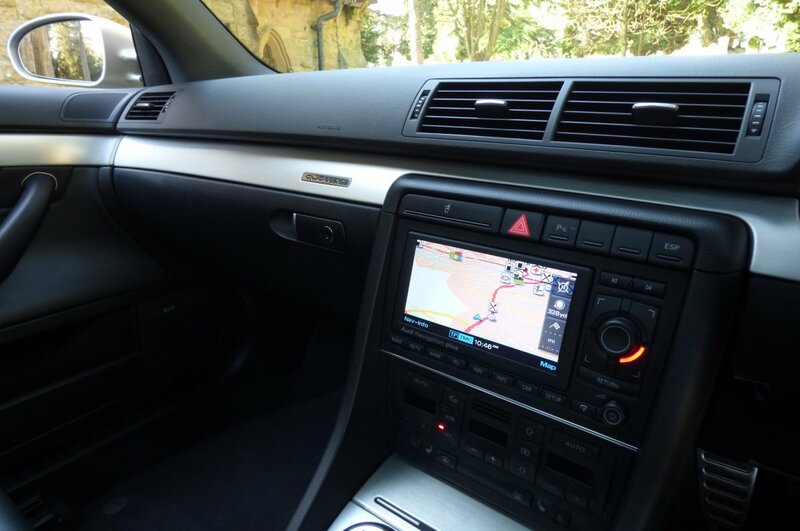 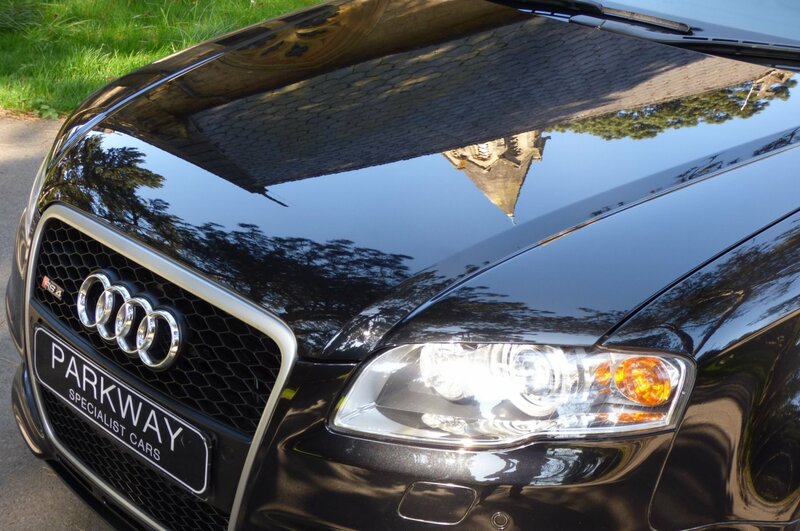 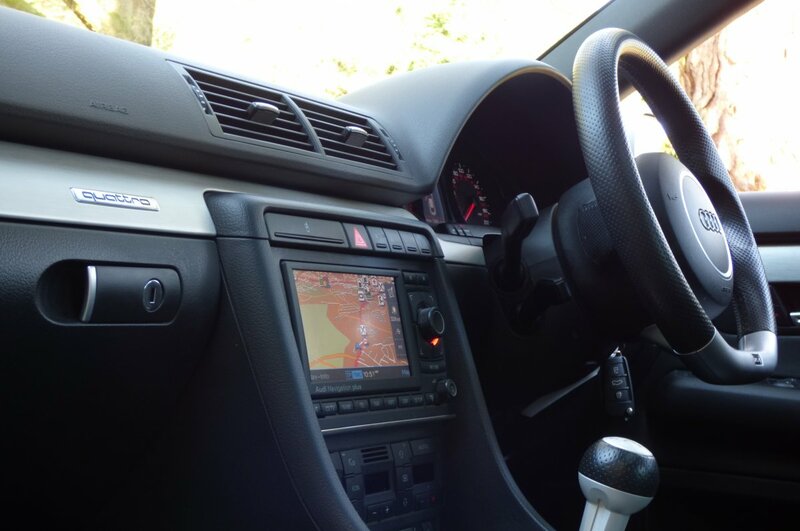 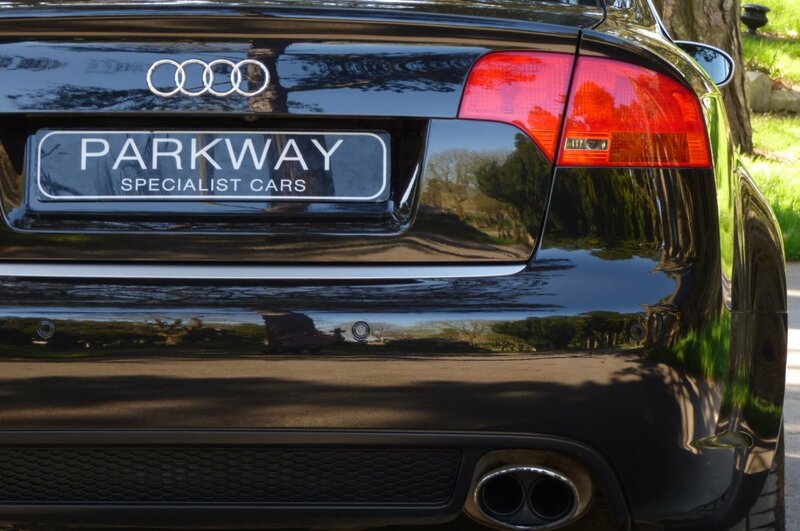 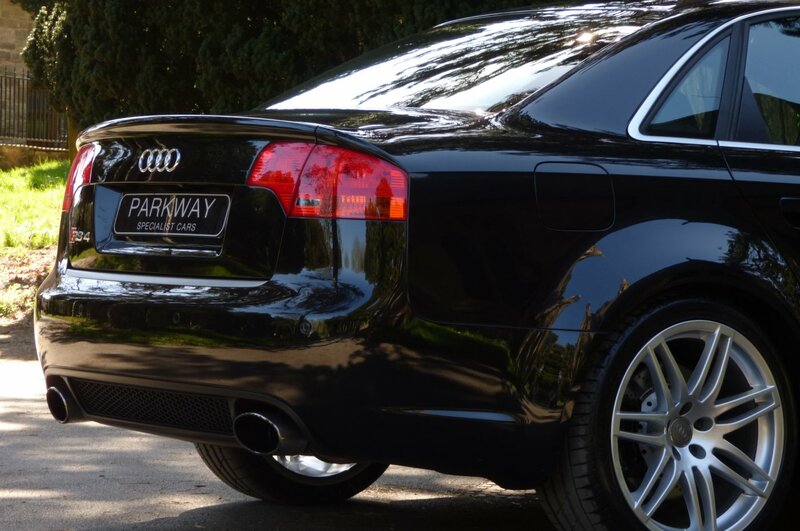 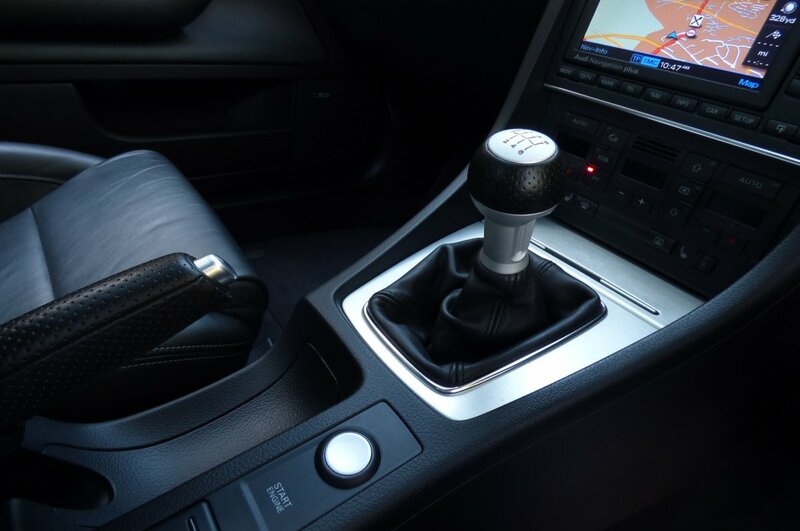 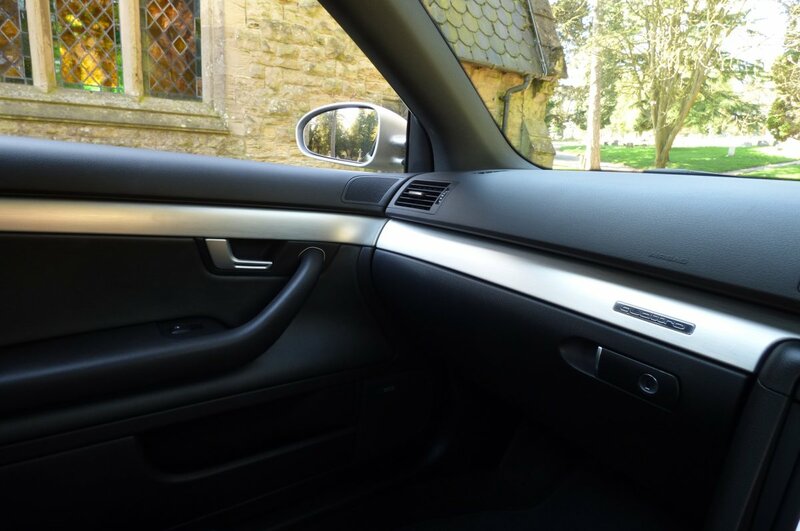 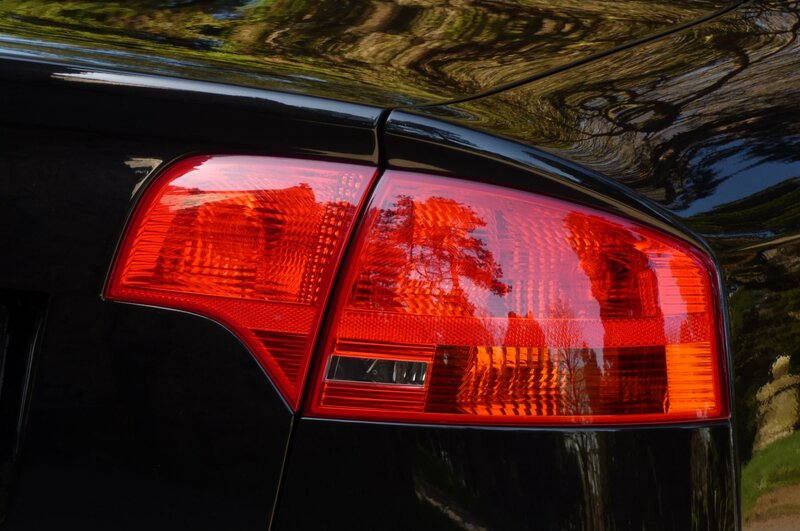 The Car Also Boasts An Excellent Level Of High End Audi Technology Options, Meaning That Every Trip And Highly Enjoyable And Perfectly Controlled, No Matter The Occasion. 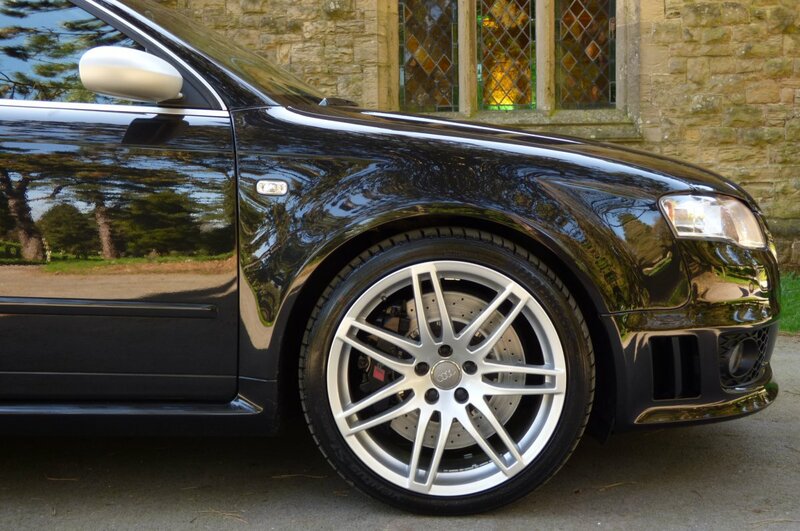 The Sculptured Body With The Factory Flared Wheel Arches, Is Presented In The Phantom Black Metallic (LZ9Y), With This Colour Perfectly Demonstrating The Aggressive Lines And Distinctive, Yet Powerful RS Curves. Further Exciting Detail To Showcased With The Unmarked Silver Finished 19" Seven Double Spoke Alloy Wheels Which All Sit On Branded Tyres, The Gloss Black RS4 Embossed Brake Calipers, The Blackened Hexagon Front Grill Detailed With The Outer Chromed Band, The RS4 Badges Displayed On Both Back Rear Door Mouldings, The Twinned Chromed Oval Exhaust Tips, The Colour Coded Front Bumper Lower Air Dams, The Chromed Door Mirror Cases, The Optional Chromed Window Trim Pieces And Decorated With The Audi RS4 Motifs That Finalise This Truly Aggressive Stance. 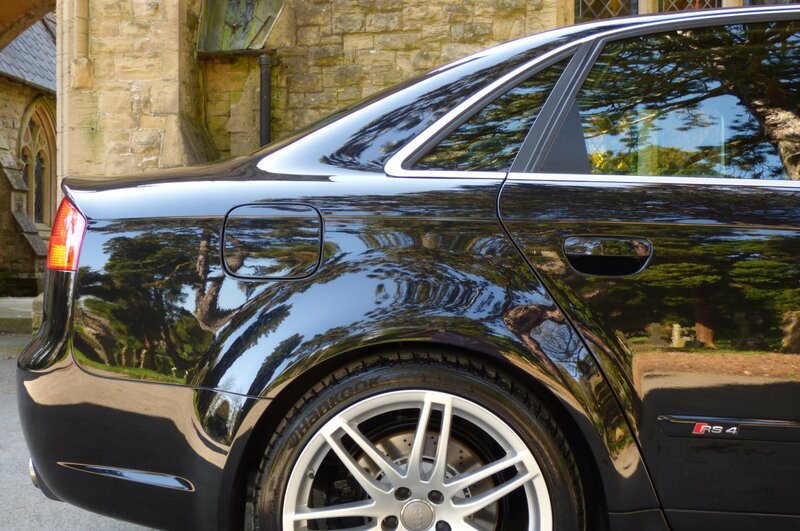 From Every Given Angle, The B7 Looks Staggeringly Beautiful From Every Given Angle And Would Be The Ideal Car For That Drive Into The City Or As The Perfect Vehicle To Venture Into Europe, For That Planned Weekend Away. 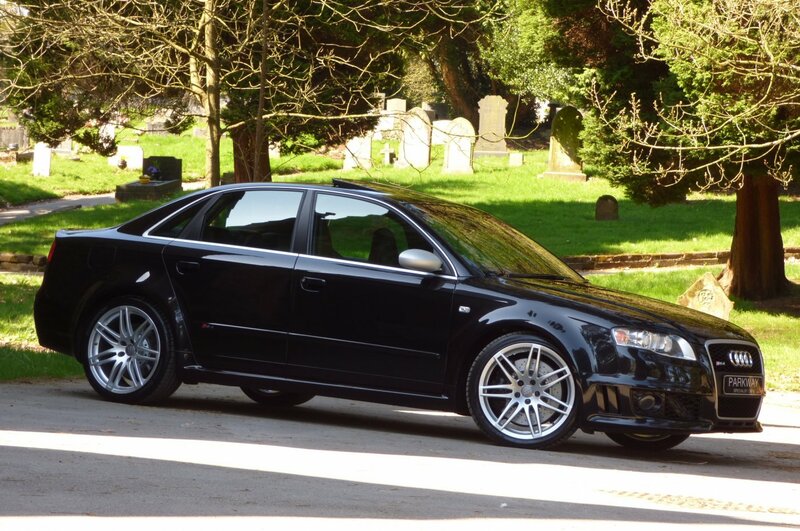 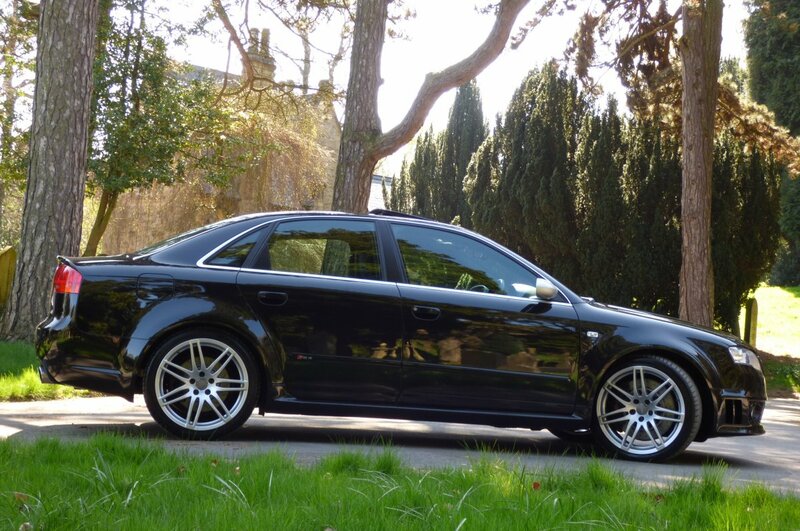 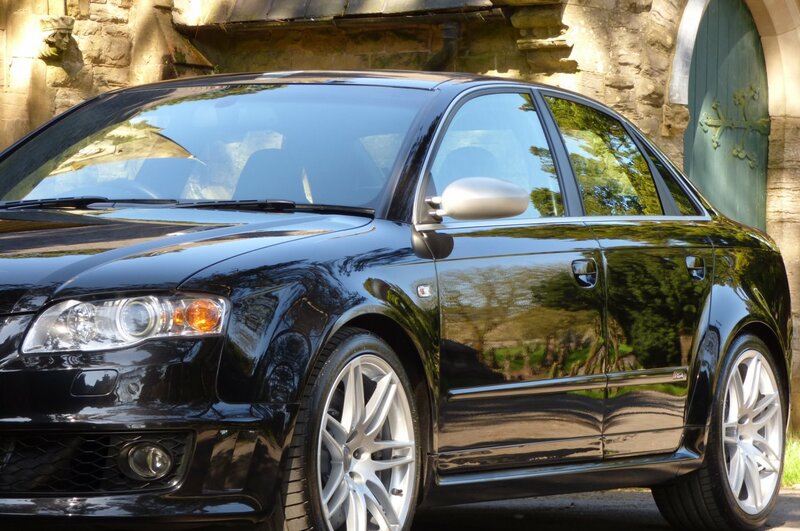 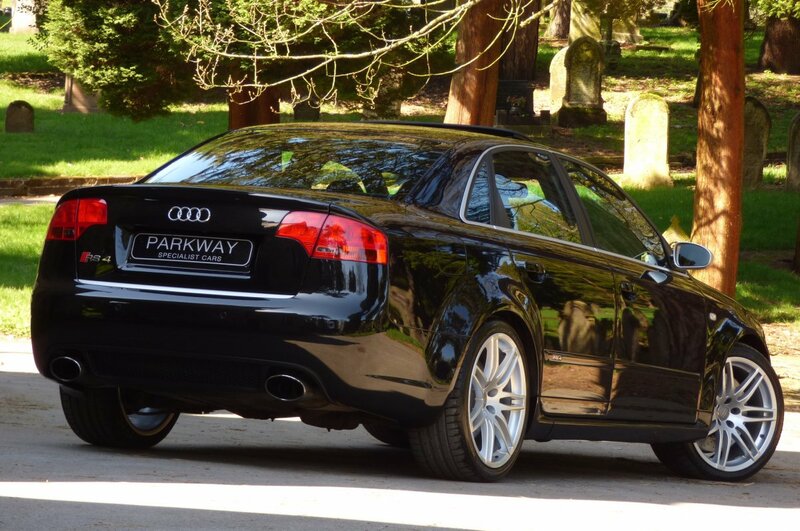 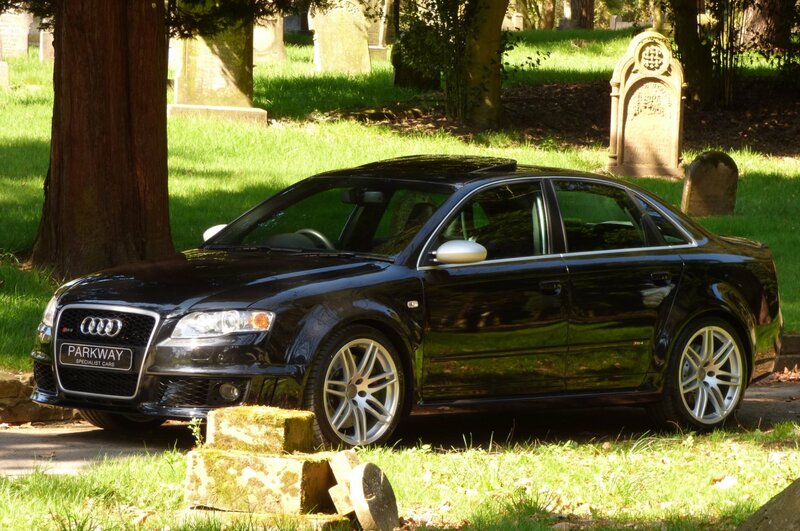 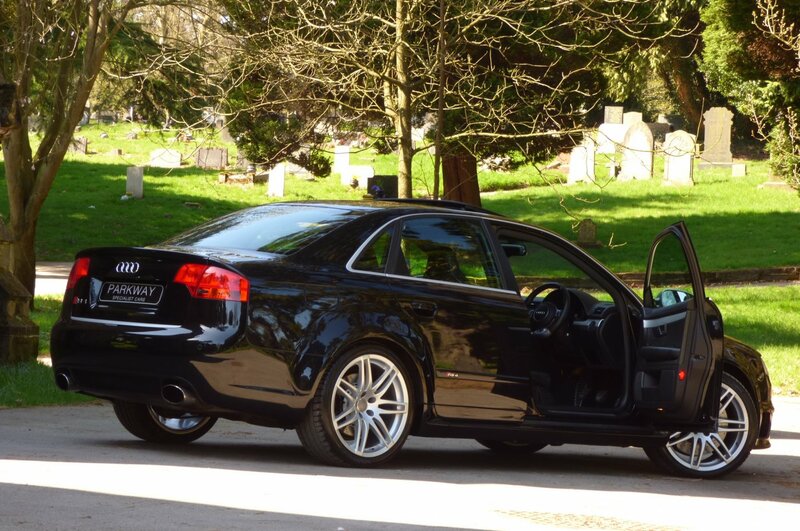 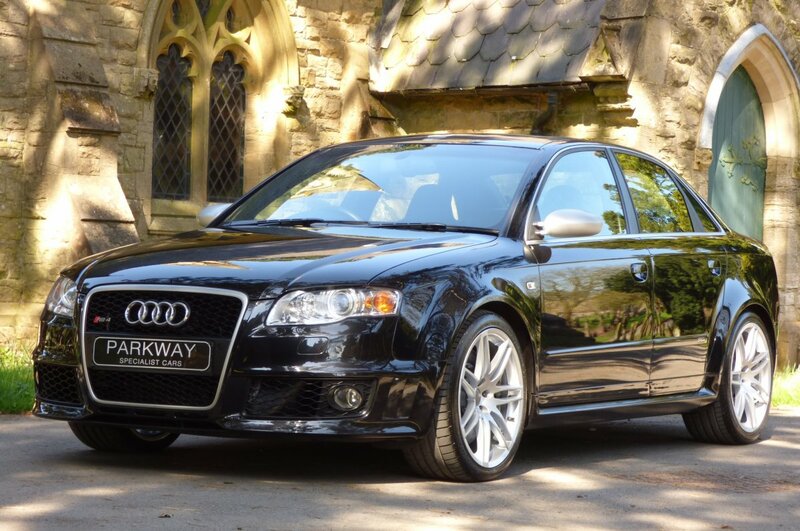 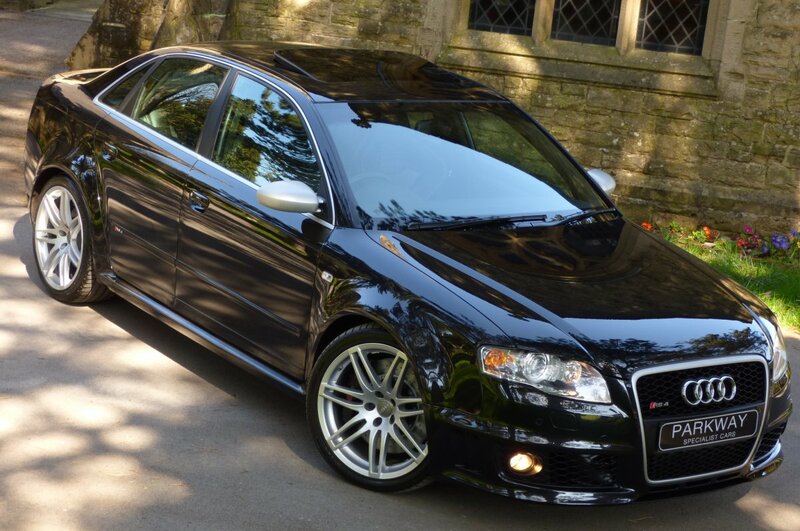 This Lovely Low Mileage Example Comes With Audi Specification To Include The Full Colour Information Screen With Satellite Navigation System Plus, Variable Heated Front Seating, Dual Zone Climate Control, Electric Tilt And Slide Glass Sunroof, Bose Speaker Sound Package, Electric Seat Lumbar Adjust, Front And Rear Park Distance Control, Cruise Control, Daytime Running Lights, Audi Dynamic Driving Noise Compensation, Split Folding Rear Seats, Drivers Arm Rest, Xenon Headlights With Power Wash Function, Unmarked Silver Finished 19" Seven Double Spoke RS Alloy Wheels, Audi Sports Suspension, Chromed Door Mirror Cases, Six Disc Multi Change CD System Housed In The Glove Box, Push Button Start, Electric Windows & Mirrors, Remote Central Locking With Alarm, Audi Steel Pedal Set, RS Embossed Internal Sill Kick Plates, Audi S Mode Function, Twinned Chromed Oval Exhaust Tips And So Much More. 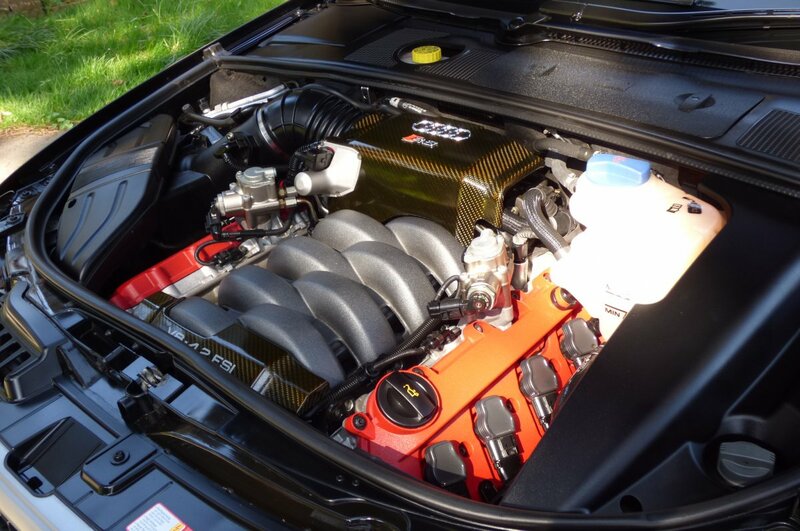 Presented For Sale With The Entire Booklet Pack Set, A Fully Cleared Hpi Report And A Fully Functional Key Set.